It’s time for a brand new episode of the Mastering Counseling podcast! This show is all about couples therapy. Joining Megan to discuss her approach to couples therapy is April Eldemire, LMFT. April runs the web site and practice Couples Thrive, based in the Fort Lauderdale area. She specializes in working with couples, specifically around the transition to parenthood. April completed her undergraduate degree at Florida State University and her graduate training at Nova Southeastern University. She is also a guest blogger and regular contributor for The Gottman Institute as well as a Bringing Baby Home Educator. What sets couples therapy apart from individual therapy. The basics of how to use the Gottman method and EFT in couples therapy. Additional training options for working with couples on the transition to parenthood. Common issues that arise when working with couples on the transition to parenthood. 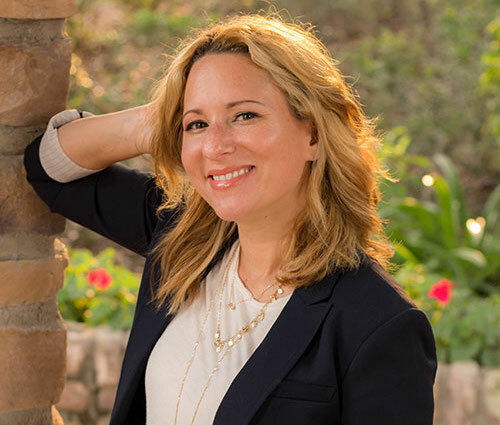 Couples thrive was founded in May of 2012 by April Eldemire, LMFT in Fort Lauderdale, and has a dedicated mission of “Making Relationships Last.” April and Couples Thrive accomplish this through therapy, tools, tips and online resources, and even workshops. The specific workshop run by April is a 2-day one called “Bringing Baby Home.” It’s designed to help couples successfully transition into live as new parents. Each episode we award a site or organization as the “Best of the Counseling and Mental Health Web”… as selected by Mastering Counseling Podcast listeners! Whether you’re a current mental health professional, or a student studying to become one, there are so many great resources out there discussing counseling and mental health. Some of these resources could even help your clients and be worth recommending to them. As a reminder, if you ever have a suggestion for a resource or organization we should recommend, drop us a line via email, Faceook, or Twitter! This week we’re happy to recognize Postpartum Progress. This week, we’re happy to recognize a site that tackles an issue that affects millions of women around the world – postpartum depression. The site is called Postpartum Progress, and it offers a wealth of totally free resources for mothers. Some of the resources available on site include downloadable PDFs in multiple languages of a “New Mom Mental Health Checklist” , links for mothers interested in joining supportive communities on social media, a specialized “warrior moms” Spotify playlist, and so much more. The of course have many different articles and blog posts offering facts, unique insight, and advice for moms working through postpartum challenges. If you’re interested in finding out more you can visit them by connecting online. Click here to connect with Postpartum Progress on Facebook.